The Internet can't be stopped! 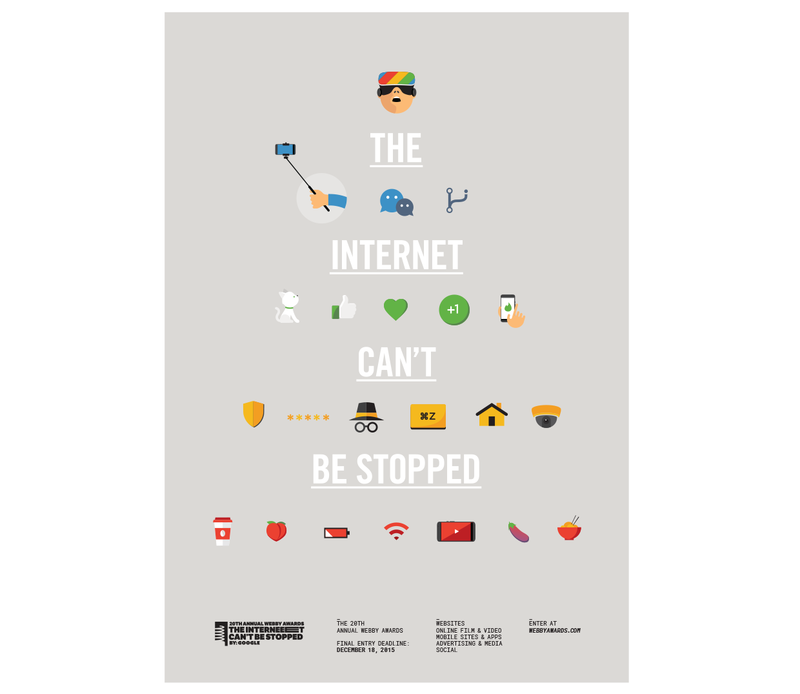 The call for the 20th Annual Webby Awards features this year's theme "the Internet can't be stopped". 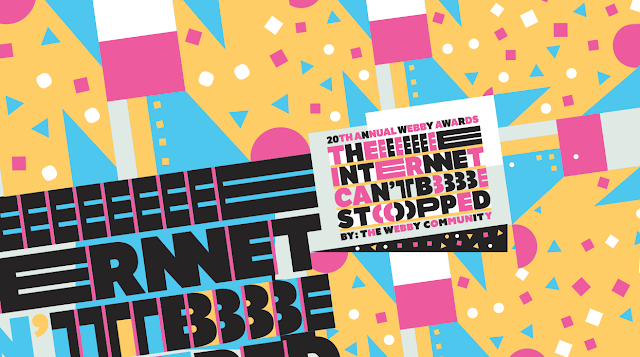 The Webby Awards have partnered with 20 previous winners to give a unique perspective on what "THE INTERNET CAN'T BE STOPPED" means from the organizations that are shaping its future. The results are truly one-of-a-kind. Companies like Google, Facebook, NASA, etc. have created some thought-provoking designs on the Internet's impact on our daily lives. This year's Webby awards theme "THE INTERNET CAN'T BE STOPED" is not just a tagline, it's just the truth. Check out more designs on the Webby Awards website via Adweek.